You are able to create a talent Resume for your own reference in Sygency. This Resume is not published to the website. 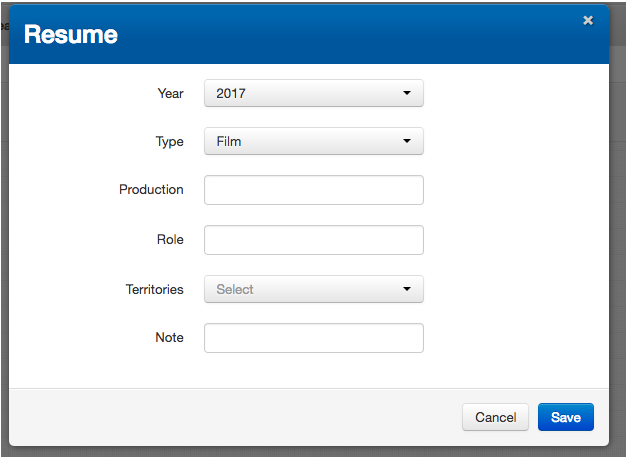 A new “Type” (TVC/Film/Audio) can be added to your drop down menu by someone at your agency with administrator clearance. Jobs are listed chronologically and to view more details click on the job and the pop up window will appear with more details – such as role or any notes added.